Compte rendu publié dans Acta fabula (Mai-juin 2015, vol. 16, n° 5) : "L’unité retouvée de la Recherche" par Dagmar Wieser. Oxford : Legenda, coll. "Main Series", 2012. One of the many aspects that make Marcel Prousts A la recherche du temps perdu such a complex and subtle work is its engagement with metaphysical questions. The disparate nature of the narrators experiences, hypotheses, and statements has generated a number of conflicting interpretations, based on parallels with the thought of one or another philosopher from Plato to Leibniz, Spinoza, Schopenhauer, Nietzsche, Bergson, or Deleuze. Through the analysis of the narrators two seemingly incompatible perceptions of the world, which reveal reality to be either one or infinitely multiple, Erika Fuelöp proposes a reading of the novel that reconciles the opposites. 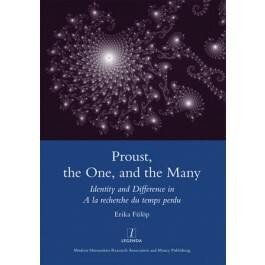 Rather than being undecided or self-contradictory, the narrative thematizes the insufficiency of the dualist perspective and invites the reader to take a step beyond it. Erika Fuelöp completed her doctoral research at the University of Aberdeen and is now a College Lecturer in French at New College, Oxford.